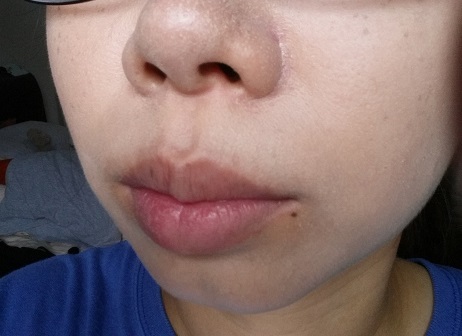 I’m not one who uses lip stick that much, but recently I’ve been feeling that my lips lack colour and look a bit naked when the rest of my face is made up. Unfortunately, most of my lip sticks have to be thrown out due to being kept for too long. No worries though, that means I can go shopping for new ones! I’ve also recently noticed that lip crayons are kind of cool and the in-thing in the lipstick department these days. 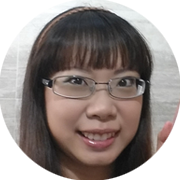 But before I could get my hands on the ones from Etude House, they are gone and discontinued. That’s when I discovered that SilkyGirl has them! 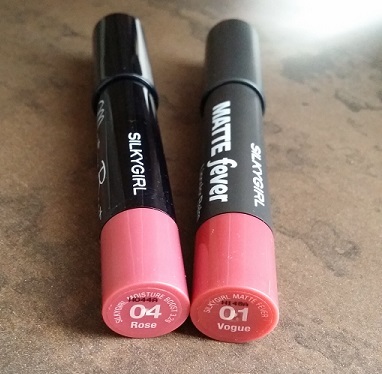 There are two lines of lip crayons (or lipcolor balms as SilkyGirl calls them): Moisture Boost and Matte Fever. 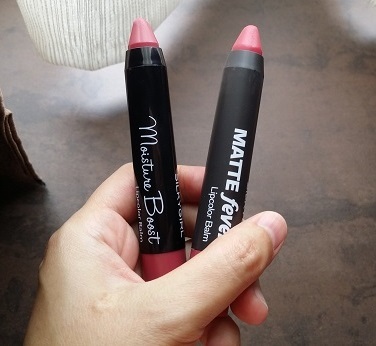 Moisture Boost is a slightly older line while Matte Fever is new. 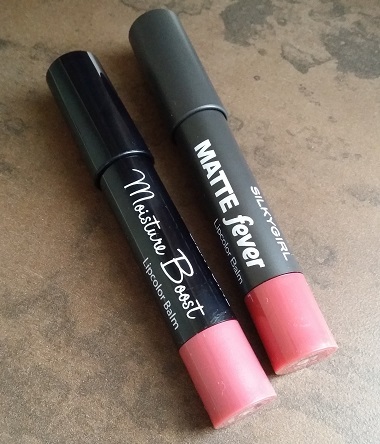 As the names suggest, Moisture Boost features a more balmy and wet look while Matte Fever is well…matte. What do they look like? They look exactly like fat crayons. I feel the long barrel is easier to hold than the traditional lip stick barrel. The pointed tip like a crayon/pencil also makes it easier to apply on the colour especially when you’re tackling the edges and corners of your lips. 04 Rose for Moisture Boost. 01 Vogue for Matte Fever. I’ve a rather tanned complexion so light pinks don’t go well with my skin tone. I’m also quite cautious about reds as I’ve never tried anything too striking and the last I want to look like is a clown. 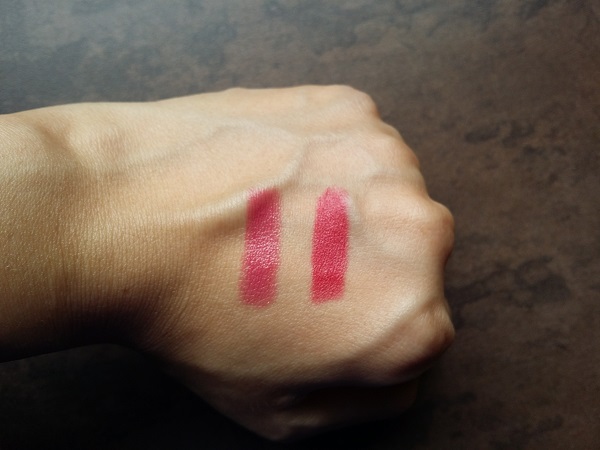 So I chose more rosy subdued pinks for both lipcolor balms. So how do they look like when applied? The shades look quite similar when applied on my hand. Matte Fever 01 Vogue does look a slight tinge redder. And of course, the most obvious difference is that Moisture Boost has a more wet, slick and shiny look. 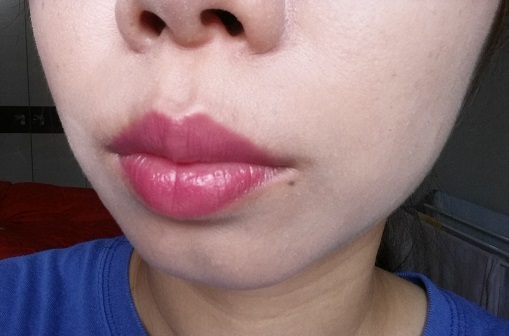 How about when applied to the lips? With Moisture Boost 04 Rose. With Matte Fever 01 Vogue. If you’re looking for more striking lip colours, go with Matte Fever. 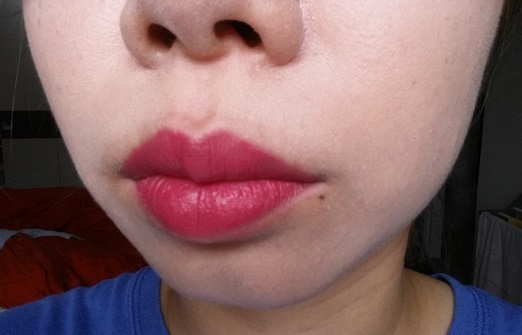 The slick, wet look for Moisture Boost kind of made the lip colour more subtle. I guess I would use Moisture Boost on a normal basis when I just want to put on some light make up, and Matte Fever for night functions or when I just feel like dressing up more. I really do like how Matte Fever turned out on my lips though. I’ve never used such a striking colour before, so this is something new and it turned out pretty well!